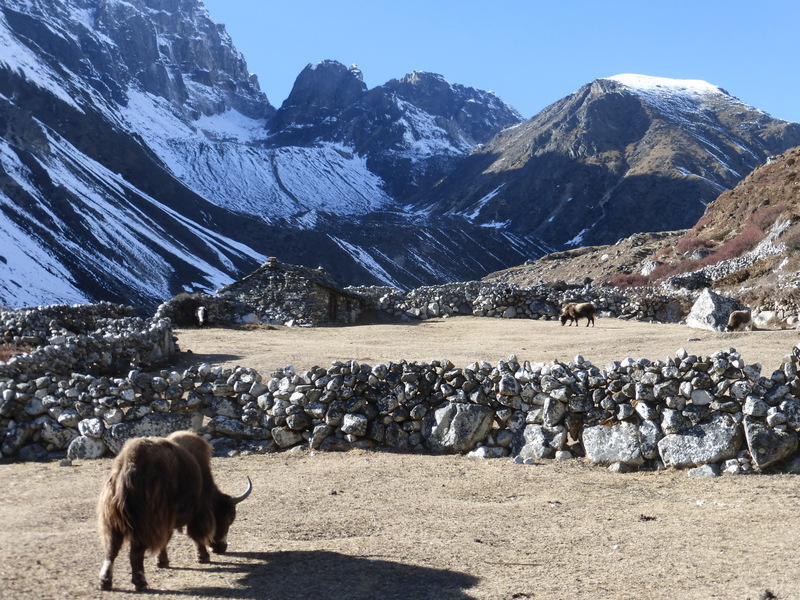 We climb out of Namche and make our way north passing stone walls, grazing yaks and dung patties drying in the sun. 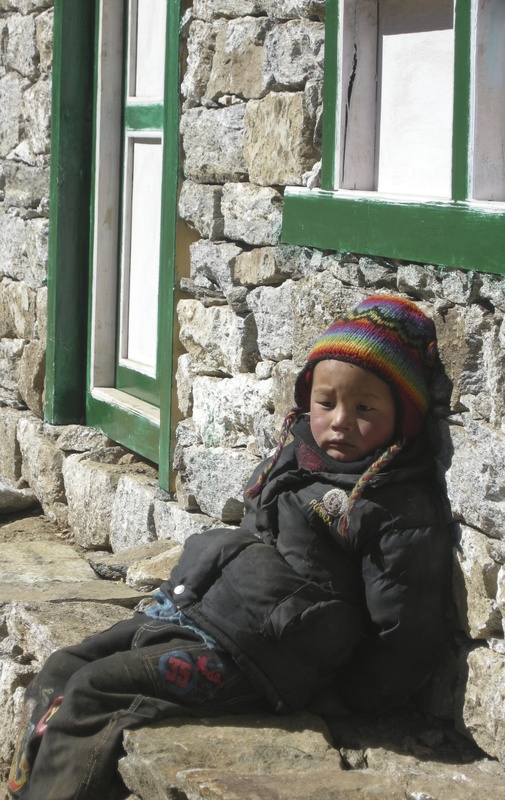 In Khumjung a young man splits wood, an old woman crumples her dried saag and three young monks headed to school pass us on the trail: simple village life in a setting of staggering natural beauty. 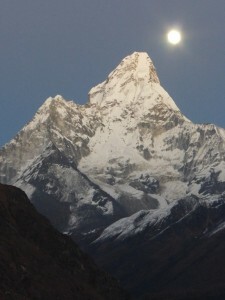 Before dinner we step outside to catch the full moon rising above Ama Dablam, wildly snapping photos in the last light. The mountains appear bigger in moonlight, omniscient and more powerful. A tinge of longing comes then, followed by a flash of child-like awareness: I’m a long way from home, groundless among all this rock and sky. We leave Mong Dhada on a steep descent to the valley floor, weaving between sunlight and shade. I decline chai when we stop, choosing instead to rest in the corner, eyes closed, feeling light-headed and puny. When it’s time to go, Lama asks for my backpack. I’m reluctant. “Yah,” he says a second time. 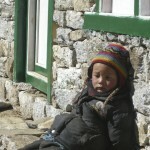 “We carry it today.” He takes the weight from my shoulder, hollers for Bhai Dahnu and passes the pack to the youngest Sherpa. “Ok, ok,” Lama says, “we go now. Zum zum.” Climbing again, I will the legs into gear. Tears burn behind my sunglasses. 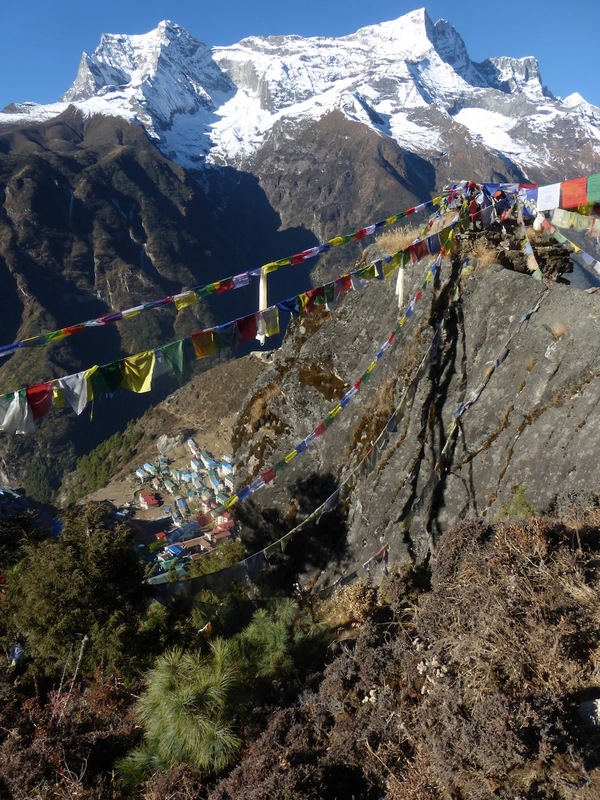 I quietly chant Om Mani Padme Hum, establish a rhythm and plant my boots where the water would go. In Dhole we eat lunch on the grass, nap in the sun. We climb the hill to a gradual incline that runs the lip of an enormous valley, walking into Machhermo in waning mid-afternoon light. We head directly to the Rescue Post. Kathy has convinced me to see a doctor. 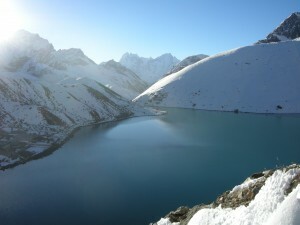 Others want information about Acute Mountain Sickness. I follow a young woman down a long, unlit hallway into the last room on the left. 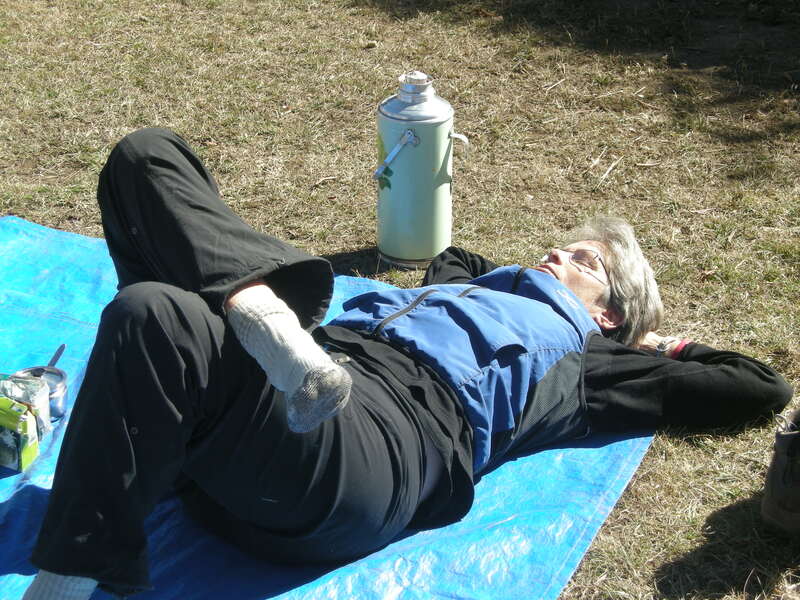 She’s wearing a wool cap and down jacket, mountain pants, a pair of heavy-duty sandals and super-thick socks. Lean, strong body, blonde hair to her shoulders. She extends her hand. “Hi, I’m Susan.” Beautiful smile, blue eyes. She asks questions, we chat. The staff are all from New Zealand, up here since September. They’re leaving in two weeks. We talk about our route. She takes vitals. “You definitely don’t have Altitude Sickness. Did you bring an antibiotic?” Before bed I take one gram of cipro and wake up feeling like a new person—with no appetite. 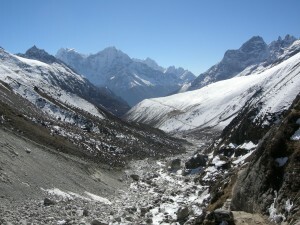 We leave Machhermo and begin the walk to Gokyo, the northern-most point of the trek, the jewel in our journey’s crown. Blinding blue sky, radiant landscape, an endless expanse of brilliant white against stark gray: spectacular, sweeping, deceptive. We round a bend and drop down to a stream. 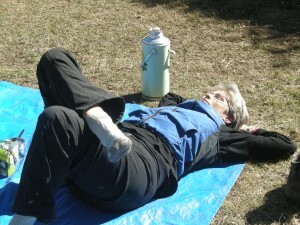 She quickens her pace, stopping in the center of the plank. I watch through the lens as she inhales and grows tall. 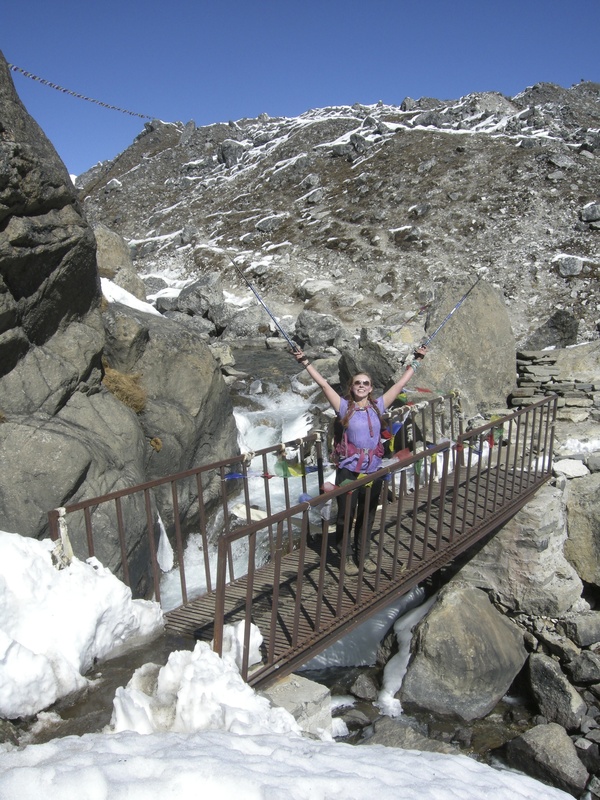 With the exhale, her arms raise into a V, trekking poles reaching skyward, muscles springing to life. She flashes that pricey smile, her young skin gleaming in the sunlight. I watch her settle into her body, wholly, completely, and for an instant, I watch her own everything she is, everything she ever will be. I press the shutter. Never has she looked so ready for what’s next, so willing to say yes. 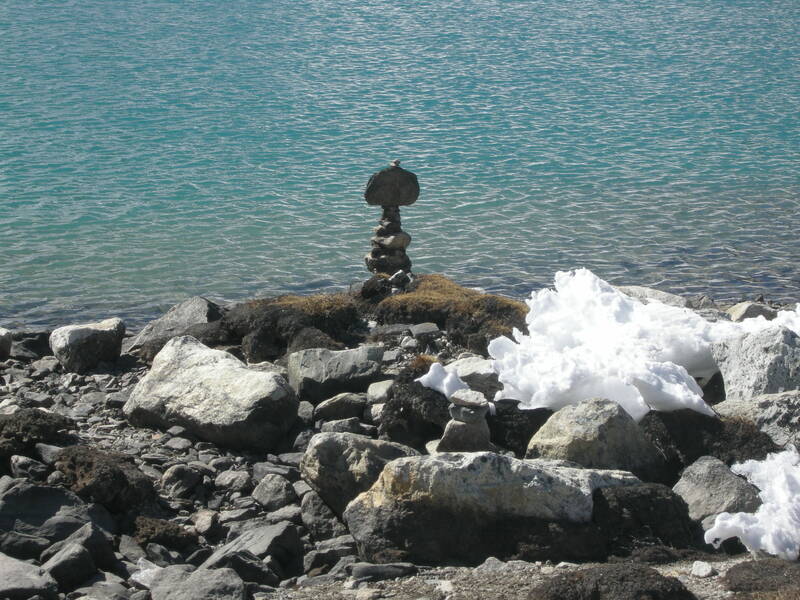 Hundreds of cairns dot this spiritual place of virgin snow, outrageous mountains and glistening aquamarine water. At 15,700 feet, the tiny village of Gokyo rests quietly at the base of Gokyo Ri, in the shadow of Cho-Oyu, a mammoth, broad-shouldered giant of a mountain. Before tea we walk up to the moraine of Ngozumba Glacier, a gargantuan body of ice and rock filled with lakes that look like puddles from our spot on the rim. We can’t see where she starts or ends but when we sit in stillness, we can hear Ngozumba move. The scent of burning yak dung permeates the air inside the teahouse. A half dozen Sherpas sit around the stove. 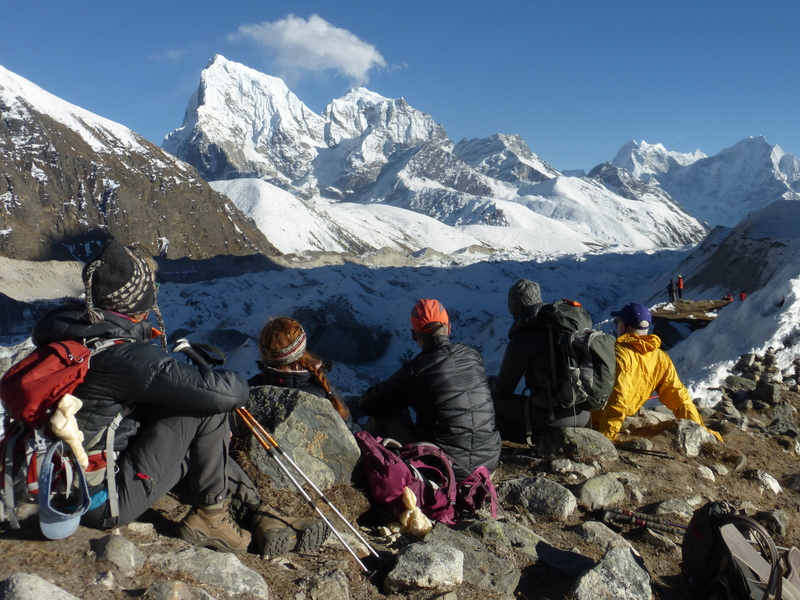 We sit on benches against the windows, drink chai and talk about headaches at altitude, eating at altitude, sleeping at altitude, trekking at altitude, taking Diamox at altitude. 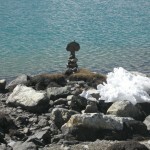 Outside, dusk comes to Gokyo. descriptions can I go back in time and be in each place…fully. Becky, I just love it all. You allow the reader the privilege of walking alongside you on this incredible journey. I find myself savoring every word. I was particularly struck by this line: “A tinge of longing comes then, followed by a flash of child-like awareness: I’m a long way from home, groundless among all this rock and sky.” Love.